Established Professor Egghead franchise business for sale. Established corporate location with a huge territory run out of a creative office in Culver City, can be re-located to suit new buyer. This Professor Egghead currently runs programs in over 50 local locations and has established a large client base and strong presence, growing year after year. Included are all materials and equipment, a loyal staff of eggheads, and a large client base that has been developed over several years. New owners will be trained for a smooth takeover. Location is ready to transition and will continue running as is. Taught in a fun and very unique way, Professor Egghead Science Academy offers interactive science and engineering programs. 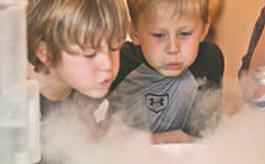 We aim to change the way kids learn science, and we have a blast while doing it! NO science or engineering experience is required. Existing instructors teach classes while you manage and continue to build relationships with clients. Multiple profit centers can keep you busy year round. We’ve already done the heavy lifting for you! 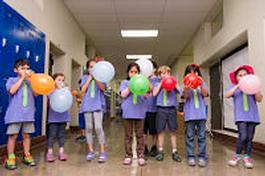 What we do: We teach science and engineering concepts to kids in a way they can understand. Our unique approach to STEM education inspires kids to be creative thinkers – and we have FUN while doing it! Children participating in our programs become Explorers, Inventors, Engineers, Detectives, and more! Professor Egghead Science Academy education franchise does not need a physical location. Franchisees hire instructors, who then go to different locations and run educational programs at their site. Locations include: Elementary Schools, Preschools, Parks, Rec Centers, Community Centers, and Homes. To find our more about this Professor Egghead location, Please fill out the form below and submit.